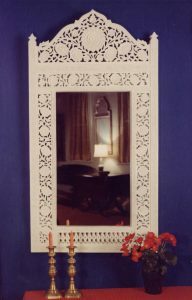 A regal mirror available in a variety of painted, wood and leaf finishes. As seen in Shop Etc. magazine.